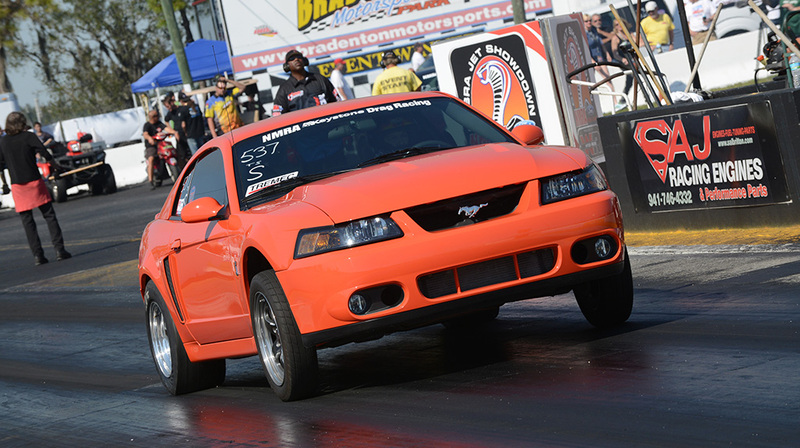 Jeff is a regular competitor in the TREMEC Stick Shift Shootout held at select National Mustang Racing Association (NMRA) events. The Stick Shift Shootout is open to any TREMEC-equipped competitor entered in the NMRA’s True Street class. Visit NMRA.com for more information on the shootout. For upcoming info on the 2017 TREMEC Stick Shift Shootout, follow our Facebook Page. Jeff purchased his Cobra in 2011 from a Jacksonville, Florida, police officer. It had about 14,000 miles and a couple of basic modifications made to it. Originally it was going to be just a weekend cruiser and fun car, but once the Cobra bit him, that performance venom drove Jeff to start modifying the car for more power, speed and capability. Previous Previous post: Have a Suggestion or Request for a Future Article Topic?